Peter Parker is essentially the original teen hero in many comic readers eyes - the balance between his teenage life and the great responsibility of super-heroism is what helped made him into one of Marvel's most popular characters. But why are Marvel so afraid of moving the character on from that point? According to the latest news following the fallout of last week's announcement that Marvel and Sony had agreed to share everyone's favourite spider-hero, the companies are looking to send the new Spidey back to High School once more. This is just another link in the long chain that has been Marvel's soft resets for the character over the years, and it's the sort of area that the company has loved to keep Spider-Man in: young, single, and relatable. That relatability is key to Peter Parker's success, his place as the everyman hero that spawned legions upon legions of ardent fans over the years. The company has gone through many lengths to keep him that way in continuity, sometime's to the character's detriment. Without being able to move much further on, the same sort of responsibilities and stories get told time and time again, keeping the character in perpetuity - something that Marvel might mean is good for the Spider-Brand, but it comes at the expense of offering the character extended growth like many of the company's other stalwarts have largely had over their lifespans (if we all accept the essential time-dilation affect that is key to comic book longevity in the first place, anyway). And sometimes it's not just the case of halting the character's growth, it's about regressing it back to that point - let's not forget the infamous 2007 arc One More Day, which ended with the demon Mephisto wiping Peter and Mary Jane Watson's marriage, as well as Spider-Man's unmasking during Civil War, out of continuity. The decision, widely derided by critics and fans, was made to keep Spider-Man young and relatable again, and although the character wasn't back in High School again, it was a regression made at the expense of Peter Parker's growth as a character. But actually, to be fair, despite resets like One More Day stalling the character's perceived maturity, at least now in the comics Peter Parker has moved on at this point. As of last year, he was 28 - young yes, but still well into adulthood at that point (and pretty remarkable considering he's apparently crammed 53 years of stories into 13 years of his life. Comic books!). Considering he's more popular than ever, that ageing process doesn't seem to have had a huge impact on his appeal. And yet, when we see Peter in live action, he's back to being a a young student again: In Raimi's movies, he's a highschooler and then an undergraduate, and in the Amazing movies, he's a recent high school grad - and now in the strange Marvel/Sony deal future we find ourselves in, he'll apparently be back to being in high school, with the two companies looking for actors far younger than Andrew Garfield to play the webslinger. 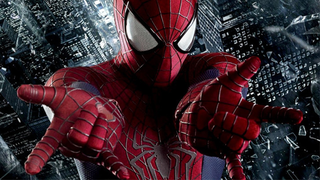 Aside from the annoyance that yet another reboot means we're ditching the current version of the character who's been left in a relatively good place for advancement, it means this is going to be the third time we see a big screen Spider-Man tackling high school drama and crimefighting. Sure, at least we're skipping the origin retelling for the third time round, but do we really need to see this again? It's the same story, the same character beats, repackaged and reheated under a new face. If it can't be the movie Spider-Man we had already at the end of TASM 2, why can't it at least be a new Spidey who is in the same situation? No romantic ties, assured in his place as Spider-Man, and out of school and into the wider world of adulthood. We don't need that story again any time soon, so why not shake it up and give us an older Spider-Man? It doesn't have to be a Spider-Man who's comparative in age to Tony, Steve and the gang - part of the dichotomy of Spider-Man's interaction with the Avengers is that he leads a radically different life to the rest of them, and his youth is part of that - but for the love of god, it doesn't need to be the same teenage hero we'll have had 3 times over 15 years. Spider-Man's entrance into the MCU is a huge opportunity for Marvel. Why can't it be used to try something different with the character? It almost seems like a waste, after all that hard work to wrangle him back into the fold, to just give us the same old Peter Parker story again and again and again.